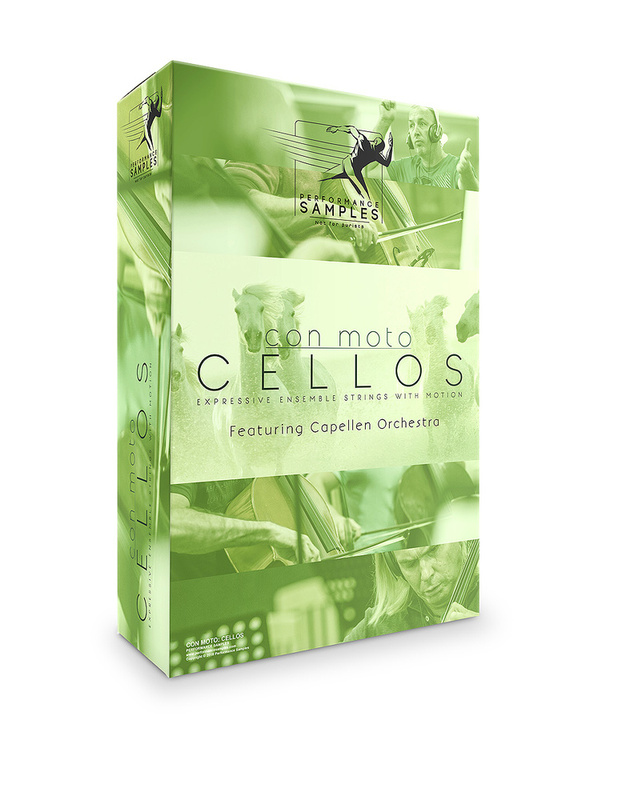 Con Moto Cellos is Performance Samples’ first release in their Con Moto Strings series for the full version of Kontakt; Violins, Violas and Basses are scheduled to follow in due course. As with their previous Caspian brass library, the samples are taken from actual performances, the idea being to give a sense of naturalistic movement with dynamic and tonal consistency to played phrases, as opposed to recording samples in isolation, outside of a musical context. The makers’ explanation of the process involved is somewhat enigmatic, nevertheless, the system is designed to enable the most commonly used phrasings to be played without the need for articulation keyswitches. ‘Con Moto’ means ‘with movement’, which Con Moto Cellos (CMT) achieves using what the makers call ‘Active-bow sustains’, bow-change legato and different attack and release segments that respond to your playing in a transparent way. The legato is particularly successful — very smooth with continually re-expressed vibrato that gently varies in intensity as you move the modwheel (or chosen controller) through the three mp > mf > ff dynamic layers. The trademark minimalist GUI common to all Performance Samples (PS) instruments offers four microphone positions: Close First Chair, Close Section, Decca and Wide, each with the usual complement of Volume, Mute, Solo, Pan and Output routing. The only additional controls are a Legato on/off button, and fields to reassign the Legato on/off keyswitch number and the MIDI CC for controlling dynamics. Key velocity controls two variations of note attack, soft and hard (0 - 39 for slow, 40 - 127 for hard). The hard attacks lack sufficient ‘oomph’ to deliver energetic staccato shorts or emphatic marcatos, although fast detaché runs and portatos do come across well. Rather strangely, there are instructions on the PS website describing the editing process for altering those velocity ranges; however they don’t seem relevant to the current version (5.8) of Kontakt. It’s frustrating that the velocity switch point is not adjustable from the GUI — this sort of DIY fix would be unsurprising on a free instrument, but not one at this price. Another issue is an artifact that’s evident on the Decca and Far mics — a ‘bump’ or ‘ghost’ note that preempts the main sound when playing hard-attack, non-legato notes. This appears to be due to the room’s ambience hanging over from the cellists’ previously played note, persisting when the samples were edited. If so, it’s an unfortunate side-effect that perhaps could have been dealt with. Similarly, PS’s disclosure of known CPU issues in Logic AU and Vienna Ensemble Pro AU will deter that sector of potential buyers. And then there’s the question of price, which does seem quite high for a single instrument of limited functionality. Despite that, Con Moto Cellos has to be judged on how well it performs; it sits effortlessly in the context of an arrangement, blending well with other orchestral libraries. Melodies sound fluid, expressive and positive, and it handles that low I V X V I style of arpeggio without any stumbling or muddiness, which isn’t always the case with some libraries.